If winter weather’s got you stuck indoors this month, there are some things you can do to help maintain your home and start preparing for spring. While it might not feel like it right now, warm weather is on its way and will be here before you know it. Fall River homeowners can prepare for seasonal changes by staying on top of basic maintenance and cleaning. Your Massachusetts homeowners insurance provides coverage for natural disasters and damage, such as winter storms blowing off a roof or seasonal winds blowing your neighbor’s tree through your front window, but you need to do your part as well. 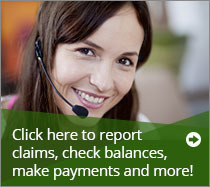 Home insurance in Fall River, MA, and the surrounding area requires you to maintain your home. Got questions? Contact your Fall River insurance agent at Paul Sullivan Insurance Agency. One of the best ways to help your home look it’s very best is to take time to clean walls, touch up paint, or completely re-paint a room, if necessary. Look for indoor paints that are fume-free so you won’t have to crack open a window. Winter is often the best time to paint because the paint will dry faster to provide a more even finish. You could hire a professional, but if you’re looking for something to keep yourself busy while it’s oh-so-cold outside, painting your interior is an excellent project. If you do hire contractors, make sure that they are licensed and insured. Check with your Fall River homeowners insurance company if you need advice in how to properly vet a contractor for best results. Winter is a great time to check all of the coils and vents inside your home. We use a lot of our appliances more during this time of year, so it pays to be on top of basic cleaning and maintenance to prevent fires. Checking the coils of your refrigerator, as well as any deep freeze appliances or extra refrigerators in the garage, can help to avoid overheating, assist in a more efficient operation, and increase the life of your appliances. You can use a vacuum to clean the coils. Take time to sweep underneath them as well to prevent more dust, hair, and debris from getting back up on the coils again. When it comes to vents, think not just about the vents for your HVAC system, which will likely need to be dusted, vacuumed, and cleaned several times throughout the year, but also your dryer. Any type of lint, debris, and dust can lead to a fire, so this is a critical step of home maintenance. Change HVAC filters out monthly and use quality products to ensure clean air for everyone inside. For your dryer, use a special lint remover tool that can snake its way through the entire vent system. Go outside and check the vent there as well to make sure you don’t have an issue with insects or animals making a home. Again, you could hire a pro to do this if you don’t feel ready to do it yourself or just grab a vent cleaning tool at your local hardware or home improvement store. 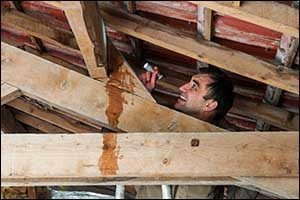 No one wants to think about leaks, but in the winter before the snow and ice begin to melt is a great time to do a once over in your attic and around your home. You might have to go outside for some of this work, but it’s worth it. Even if you have a newer roof, it is essential for you to check for water leaks that might result in damage to your insulation, drywall, and create the perfect storm for mold and mildew to take root. If possible, safely go outdoors to look at your roof to see if there are any missing shingles or note if there is any damage to the vents. If you are unable to do this yourself, consider hiring a licensed and insured roofing company that has a positive reputation in your local area for waterproofing and repairs. Inspect the foundation as well, which could cause water to come indoors to your basement, crawl space or other areas inside your home. The more you can do to be pro-active, the less it will cost you in the long run – even if the repairs are covered by Massachusetts homeowners insurance. The sheer inconvenience of recovering from major water damage and repairs is overwhelming for many households. Foundation cracks can be sealed, and a small roof repair will cost a lot less than a complete replacement or major renovations required after a big leak makes its way into your home. Interested in learning more about our options for home insurance in Fall River? Contact Paul Sullivan Insurance Agency and speak with an experienced Fall River insurance agent about Massachusetts homeowners insurance. We have proudly served Fall River homeowners and property owners in the surrounding area since 1956. Give us a call today at 508-678-9611 to discuss your needs with one of our friendly agents.